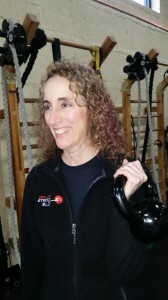 Rock Creek Sports Club introduced Health and Wellness coaching to members in November with Coach Abbi Lichtenstein. Abbi, a DC native, and member of RCSC since 2008, has always enjoyed volunteering. When she returned to work, she sought a career where she’d be able to help people in a similar, but also different, way. In addition to Abbi’s desire to help others, personal experience allowed her to see the transformative power of health and wellness coaching. Suffering from migraines, Abbi was put on medicine that caused her debilitating fatigue, and didn’t lessen the migraines. She gained 15 lbs but was too tired to work out. Additional pain from sciatica made her realize something needed to change. She started to work with Jean Simons, who is also a wellness coach. Jean helped motivate her to make some important changes such as giving up sugar and refined carbs, and working out 5 days a week. These changes pushed her to also find a new neurologist and get off the medication that was wearing her down. Wanting to help others, as Jean helped her, Abbi decided to pursue her Master of Arts in Health and Wellness Coaching with a concentration in Integrative Health Practices from Maryland University of Integrative Health. 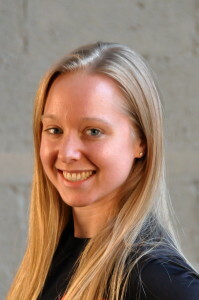 Abbi completed the program and earned her Masters in the summer of 2017. She passed the first ever National Board Certification exam, administered by the National Medical Exam Board, and became part of the first group of coaches to be nationally board certified in health and wellness coaching. When Abbi works with clients she helps them reframe their situations to balance out stress and manage it with ease, use their strengths and creativeness to overcome obstacles, become aware of what’s important to them to live a life aligned with their values, and understand that if they slip, they have the tools and self-efficacy to move forward instead of remaining stuck. “Once they gain insight and make the choices that serve them well, their self-efficacy increases. 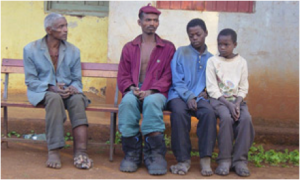 They then feel empowered to find the motivation to make the necessary lifestyle behavior changes and live closer to their life vision and to their full potential.” Abbi says. Health coaching can even help with sleep. Leslie Goldman from Oprah.com writes how her health coach helped her achieve the goal of getting to bed earlier–the only thing missing in her otherwise healthy lifestyle. Starting with just one day a week, she was able to meet this goal through their over the phone sessions. But Scott, her coach, didn’t tell her what to do. He asked her make a plan. “Coaches give you a key role in determining your action plan, help you lay it out in a step-by-step format, and support you along the way,” explains clinical health psychologist Ruth Q. Wolever, PhD, director of health coaching for the Vanderbilt University School of Nursing in Nashville. A coach’s goal is to get you to change your mindset and behavior to improve your life, but they don’t do so by asking you to open up about feelings or by prescribing medicine. Those used to a more traditional medical approach may be turned off by health coaching and believe it is just another fad to spend your money on. Goal setting to keep individuals on course and meditation, are two of many techniques used. One reason it works is the social support of checking in with someone about their progress. When you tell someone else you’re going to do something, you’re more likely to do it. For Abbi, it is important to show her clients that she cares deeply about their issues, supports them and emphasizes with them. Abbi loves the connection with the client as well as seeing the shift in energy levels from the first session to the last session. Abbi’s health and wellness coaching story is multifaceted because she has been a client and a coach. She has made a huge transition in the last 4-5 years through being coached and now, coaching. 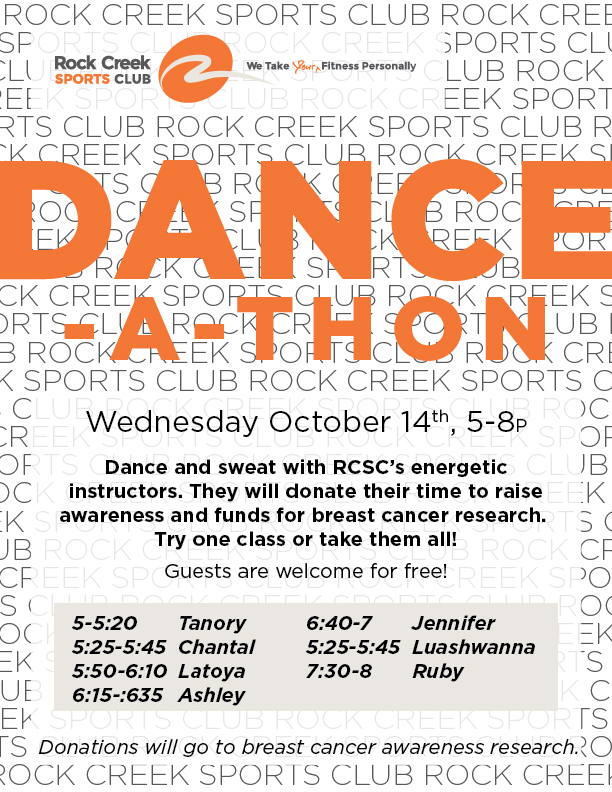 For more information on Health and Wellness Coaching at RCSC click here or contact Abbi at 301-642-4313 or alichtenstein@rockcreeksportsclub.com. Powerlifting is the sport of lifting things up and putting things down, right? Sort of. 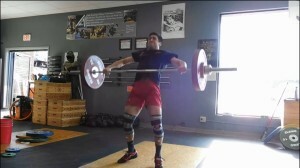 While lifting large weights is the basic idea in powerlifting, it is far more complex than that. Powerlifting is extremely demanding and taxing, both physically and mentally, and involves more than just picking something up. 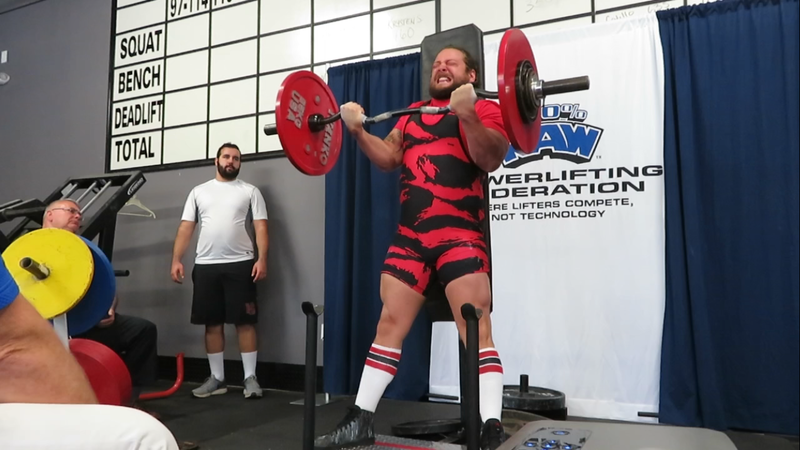 A powerlifter must learn bracing, rooting, breathing, foot positioning, bar positioning, eye gaze, head positioning and activation (Rodio, 2016). In contrast to bodybuilding, which is about obtaining a particular physique, powerlifting is about attaining as much raw strength as humanly possible. “To be a powerlifter means being dedicated to a goal: Find out how strong you can get, and then get stronger than that,” says Sean Collins, C.S.C.S., a certified USA Powerlifting Club Coach. 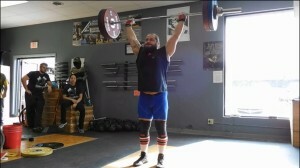 Powerlifting generally involves three fundamental lifts (“the big three”); low bar back squat, bench press and deadlift. Powerlifting has a long list of benefits. It is accessible to all ages, decreases one’s risk of osteoporosis(Rodio, 2016), gives one constant physical and mental challenges and goals, burns a lot of calories, enhances confidence, and, of course, increases one’s strength. Zach Tolchin, a personal trainer at Rock Creek Sports Club, quotes a famous strength training coach, Mark Rippetoe: “Strong people are harder to kill than weak people and are more useful in general.” On top of the above obvious benefits, powerlifting is actually a low risk sport. Powerlifting has lower injury-risk than soccer and basketball! 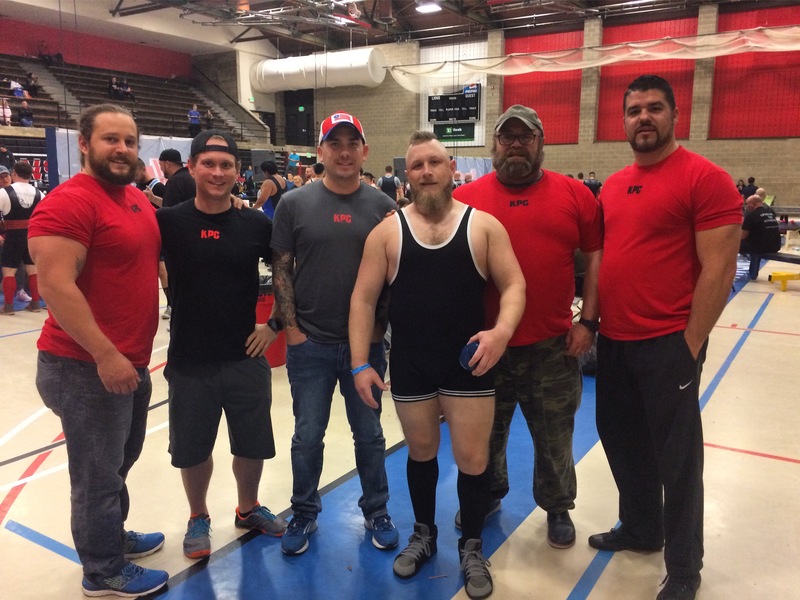 Rock Creek Sports Club has a great powerlifting community, with approximately 20 members and employees competing in the sport. 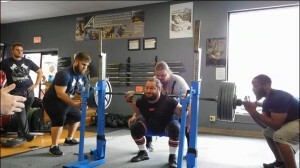 One reason for the large powerlifting community is the club’s reputation for being open to a wide range of fitness methods. When requests came in for a lifting platform and bumper plates, the club invested in these basic powerlifting tools. Another reason for the large involvement here, is the club’s sense of comradery. 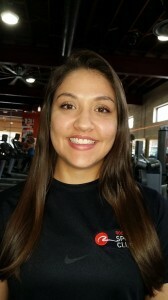 “Most of the powerlifters we have at this gym have competed together and are always checking in with each other to see how training is going and eager to share programming advice” says Emily Karl, who works the front desk. Emily Karl is an example of how powerlifting is not a sport for just men. Powerlifting is a sport both men and women can do as long as they love lifting and do it properly and consistently. “It burns a ton of calories, a lot of the time more so than cardio (one client of mine burned over 450 calories in one hour of a powerlifting style workout) and it will make you feel strong and confident.” says Zach. 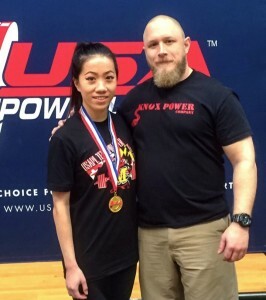 There are currently six competitive powerlifting women at the Rock Creek Sports Club, a considerable number for a gym not “specializing” in the sport. One of our members, Bibi Campos Seijo, set a world record for her age and weight class, with her deadlift of 321 lbs, last year at the American Challenge. Emily competed in this challenge this year on May 20. 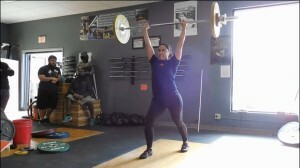 “One of the best aspects of powerlifting is that it requires dedication and constant training, like dance, but in competition there is very little subjective bias- either you get the lift or you don’t.” says Emily. Emily advises women getting in to powerlifting to be fearless, to not worry about getting “too big” or being judged for lifting heavy. The welcoming reputation the gym has is enough to convince women to train here; becoming part of a new group of friends who train, joke around and motivate one another. Emily also suggests online communities for extra encouragement, which are popular for female lifters. “Quite a few members at the gym have come up to me and told me they were inspired by me to try things they normally wouldn’t which is so flattering. Inspiring other people, especially women, to become more healthy is incredibly fulfilling.” says Emily. 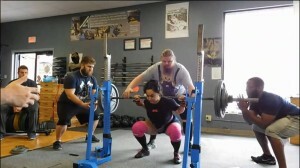 So how should someone, woman or man, start powerlifting? 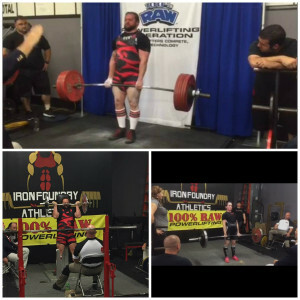 “People get into powerlifting in all different ways. I got into it just by lifting and getting stronger consistently, to the point where I realized my lifts were at a competitive level.” says Zach. While recovering from shoulder surgery, Zach attended the 2013 Equinox Open to support Devin Knox, another trainer here at the Rock Creek Sports Club. Experiencing the event firsthand he realized he loved the environment and wanted to be a part of it. Zach did his first competition a few months later: the 2013 Maryland State Championships. Powerlifting takes patience and discipline. Those starting out won’t walk in on day one and be able to lift a super heavy weight. Emily advises beginners to get a coach or mentor to check form and set guidelines for training to avoid injuries. Emily cites certified personal trainers as imperative to adjusting form and creating efficient movement patterns; the secret to hitting big numbers. Some trainers for powerlifting here are Devin Knox, Zach Tolchin and Steve Basdavanos. Zach advises novice powerlifters training for a competition to practice the calls that the judges will be using and to be prepared. Powerlifting competitively requires focus. You can’t be a jack of all trades at the gym, attending spin, Zumba or doing other forms of exercises several times a week and only training for powerlifting once or twice. However, as Emily says, it is good to be healthy and balanced. 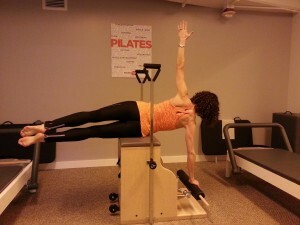 Emily started training with Marian Lally to incorporate Pilates into her workout routine, to address muscle imbalances and certain weaknesses she had. Lastly, all powerlifters should listen to their bodies. As in any workout, it is important to not fight through real pain. The first couple weeks, one will see the biggest change. Then the real patience kicks in. 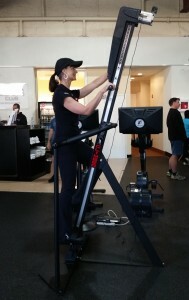 Employees and members at the gym are consistently training and competing. Events are held throughout the year depending on which federation in which you compete. Some of the popular federations are USAPL and 100% RAW. Most competitions have three lifts: squat, bench press and deadlift, however 100% RAW has a fourth: strict curl. On May 13th, the USAPL Maryland State Championships were held in Dundalk, in which Zach and Steve competed. On May 20th, Devin Knox and Emily Karl competed in 100% RAW’s American Challenge in Prince Frederick, Maryland. It was Emily’s third “full power” meet but her first time performing in this particular federation, first time competing without supportive neoprene knee sleeves and the first time performing the strict curl! Both Devin and Emily placed 1st in the events they competed in and set Maryland records in the curl. 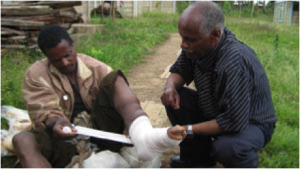 All results will be compiled at the end of June or July, from challenges across the country. Those with the best lifts over all will be selected to lift for Team USA in the world championships this fall! 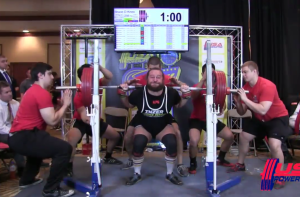 One interested in powerlifting competitively should note there were drug tests at 100% RAW’s American Challenge. 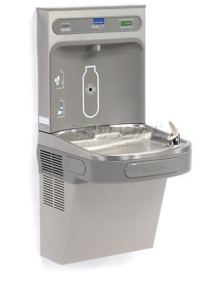 The majority of federations take steroid use very seriously. 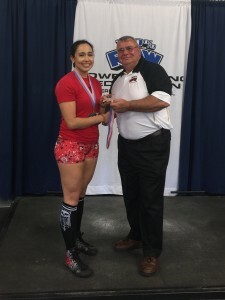 If you are interested in powerlifting talk to a trainer! And don’t be intimidated, powerlifting is for everyone. We’ll see you on the lifting platform! 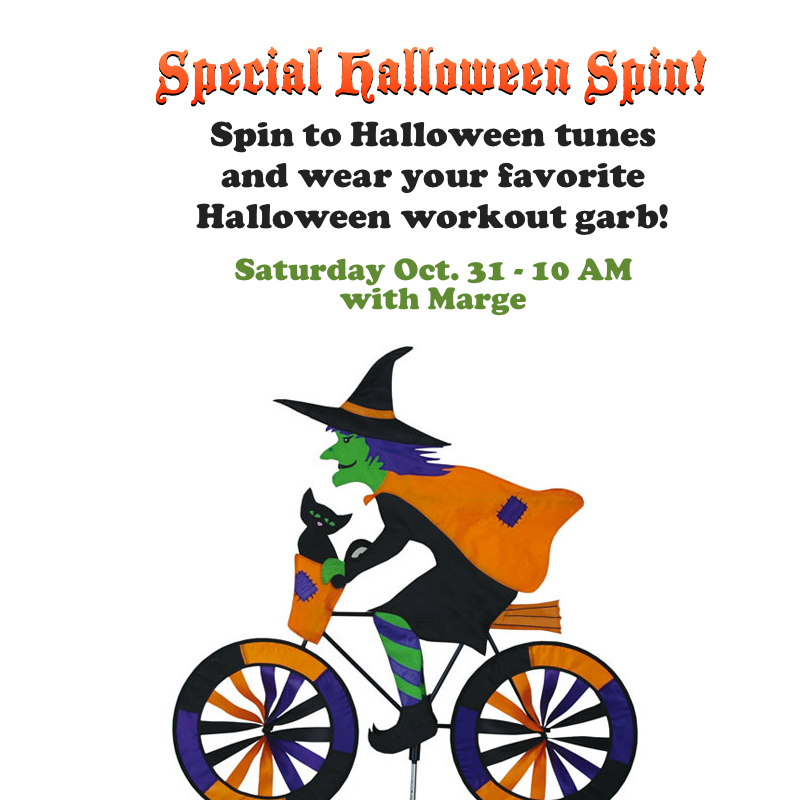 Bonus Cardio Dance Classes on Monday and Tuesdays in October!